Kojo Senoo/Pipe Dream Photographer After a disappointing season last year, head coach Tim Sinicki and the Bearcats look to get back into winning form in 2019. 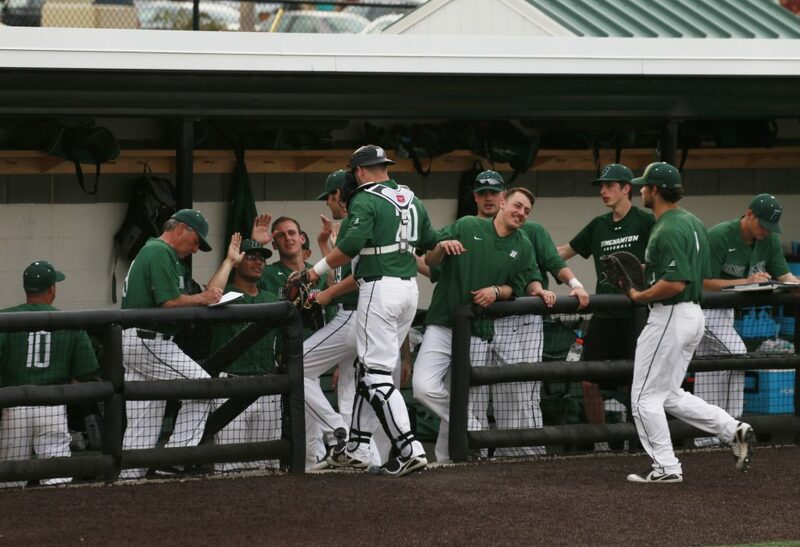 After a long offseason, the Binghamton baseball team is ready to kick off the 2019 campaign this Friday. In 2018, Meduri started in all 46 games he played. The seasoned veteran hit primarily first or second in the lineup, finishing with a .274 batting average, 46 hits and 15 RBIs. The team is two years removed from an AE regular season title, but last year was a disappointment for BU. After being picked as the unanimous favorite in the AE preseason poll, the Bearcats ended the season with an overall record of 18-30-1, going 9-15 in AE play. Last season, Miller made 11 appearances with two starts, striking out 24 hitters in 24 innings. Since the conclusion of the 2018 season, the team has spent months preparing themselves for this spring. Last year, Tsukroff appeared in 10 games with five starts, all at first base. He is expected to take on a much bigger role this season. The Bearcats are led by veteran head coach Tim Sinicki, the longest tenured head coach at Binghamton. Entering his 27th year as a coach, he is the 12th longest tenured coach in all of college baseball. His long stretch at BU has seen some truly memorable moments, including 10 conference championships and four NCAA Regionals berths. Sinicki has been named AE Coach of the Year six times. The team begins its season with a three-game series against Michigan at the spring training home of the New York Mets in Port St. Lucie, Florida. A three-game series against the No. 17 Wolverines will provide an early test for the team. The Bearcats will continue to play on the road until mid-March, facing off against nonconference opponents. First pitch in the team’s season opener against Michigan is set for 1 p.m. on Friday, Feb. 15.